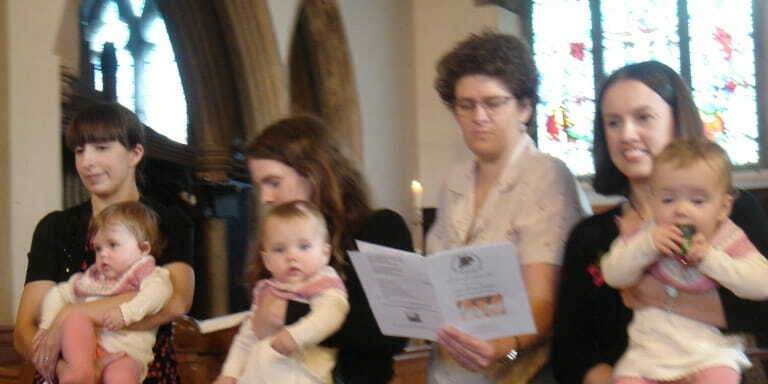 The Parish offers a 'Service of Thanksgiving' for parents who do not yet feel able to make the promises contained in the Baptism service, or who do not wish to attend church regularly, or indeed for those parents who want to wait a bit before baptising their child. This service can be in addition to baptism and might be suitable for a first trip back to church after the birth of a child. The 'Thanksgiving Service' is not an initiation into the Christian faith like baptism but it does provide a wonderful opportunity to thank God for the birth of the child, name the child and pray for the child and family. This service can take place within or outside normal Sunday service times.